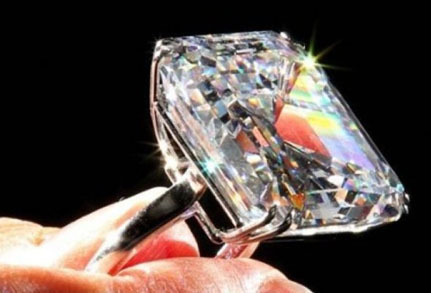 Christie’s will be auctioning off the amazing 57 carat Archduke Diamond in November. This absolutely stunning diamond is one of the world’s most famous diamonds! The Archduke Joseph diamond gets its name from the Archduke Joseph August (1872-1962), a one-time proprietor of the diamond, who was the prince of the Hungarian line of the Hapsburg Dynasty. It has been characterized as being the largest internally flawless gem in the world. The diamond is expected to fetch a whopping $15 million, thus becoming one of the world’s most expensive diamonds, after it hits the Christie’s Geneva sale of precious gems. It is not known precisely how the Archduke appears to have gotten the diamond. Archduke Joseph was a descendant of Emperor Leopold II, son of Empress Maria Theresa (1740-80), the Archduchess of Austria and Queen of Hungary and Bohemia. Empress Maria Theresa was the owner of the famous Florentine diamond, a large light yellow Indian diamond, which was one of the most notable and unique diamonds in history. This entry was posted in Celebrity Jewelry, Diamonds, Jewelry, Jewelry History and tagged 57 carat archduke diamond, archduke diamond, christies jewelry auction, diamonds auctioed at christies, jewelry warehouse. Bookmark the permalink.